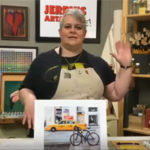 Jerry’s is once again sponsoring the largest art supply expo and workshop event in the country, Art of the Carolinas. Happening Thursday, November 13th through Sunday, November 16th in Raleigh, North Carolina, the event is free to the public who want to shop for over 30,000 square feet of art materials at the lowest prices of the year! The event will also feature over 100 workshops with over 45 instructors to teach on every type of art medium. Free Entry! 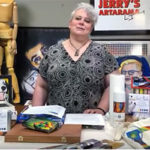 Largest consumer art supply trade show with over 30,000 sq. feet of trade show stocked with art supplies at amazing savings! Art of the Carolinas has always drawn a large crowd and in it’s 14th year, its sure to bring in artists and students from all over the country. The event is fun for the whole family, so come visit scenic Raleigh and experience an art event like no other. See all the major brands of art supplies, get free samples and even demo and try them out. Jerry’s will even offer a free limo ride to and from our retail store during the trade show hours for guests’ convenience. The event is located at the midtown Raleigh Hilton located at 3415 Wake Forest Rd, Raleigh NC. Visit www.artofthecarolinas.com for more details.